The optimal and rapid coordination of response forces in the disasters can be crucial on the survival of many people, as well as the protection of the environment and the property of individuals. GEO-PICTURES develops supporting solutions. GEO-PICTURES has set itself the goal of developing a system that will help emergency services, first responders and command centers to more quickly and accurately explore the current disaster situation. The collected data is forwarded via geo-referenced images to the command center immediately after being captured. Where they are analyzed and used for decision-making on the following processes, as well as prepared for on-site application. For stable data transmission, satellite navigation systems are used. You can find some milestones from the course of the project in the project splitter section below. On April 8, 2010 the kickoff Meeting for the interesting GEO-PICTURES Project took place. The goal of this ground-breaking space technology project is to save lives, environment and properties in and during emergencies and disasters by providing real-time recordings, photos and videos, sensors and up-to-date results from disaster investigation teams. The validation of the network coverage should be secured by the satellite communications usage. Since March 2010 it has been working diligently on the GEO-PICTURES project. The researchers and the developers among our project partners have set themselves the goal of optimizing disaster relief by using satellite communications best possible to protect the environment and properties as well as save lives. In order to be able to incorporate as much experience and opinions as possible on the demands and requirements of the end users for the application under development, questionnaires were provided on the project website. During the UNDAC (United Nations Disaster Assessment and Coordination) in August and September 2010, Prof. Dr. Alois Hirschmugl was able to use the current version of the test software during the flood disaster in Pakistan. Whenever Prof. Dr. Alois Hirschmugl captured a photo with his Android Smartphone, he could directly send the pictures to an operation headquarters server. The dispatched Photos contains additional data such as the date and the time of the shooting, shooting angels, latitude and longitude. All the authorized persons could take these photos from him and use these pictures to decide about the further course of the assignment. This innovative software, which developed in the framework of GEO-PICTURES is an excellent supporting tool for the disaster managers and first responders locally. Before about one year GEO-PICTURES Project has begun. The project so far very positive and the results are excellent. The Goal of this satellite- and the space project is to save human lives, protect the environment and Infrastructure in and during the emergency and disaster cases. Transmission of geo-referenced photo, video and sensors explorations in the near real-time. quick mapping by integrating the latest satellite-transmitted Earth observation images. Immediate distribution of images and maps to assist in decision-making. during the flood of 2010 in Pakistan and further series of tests, a flawless and direct transmission of the images with the necessary data was possible to send to the coordination centers in the headquarter district and on-site. So far, the developed software is applied on devices with Android systems. Below you can download a flyer for the project in English: GEO-PICTURES_Flyer_EN. For the co-financed GEO-PICTURES Project in the 7th Framework Program of the EU, we were diligent testing. During the past year and a half, there have been ongoing attempts and trials of software developed by AnsuR in various countries. For the tests, I (Prof. Dr. Hirschmugl) have used a smartphone with Android operating system to photograph places in Cyprus, Longyearbyen / Norway, Germany, Austria, Spain, Belgium and other countries. With these images’ spatial information (geo-references) are saved and they are sent in a few seconds with low bandwidth to a command center. Users find this application mainly in the decision-making in the resource planning and the coordination of the auxiliaries. In addition to the possibilities described so far, satellite images, pilotless aircraft (UAV) plus a web mapping application can also be used to create maps with the appropriate information. The UNOSAT is satellite observation program with the mission of providing satellite images and maps, has now released new maps detailing the current flood disaster. The creation is done in cooperation with GEO-PICTURES. The new released map shows the standing water over Badin and Mirpur Khas district of Sindh Province in Pakistan after the devastating Monsoon rains. The analysis of the current situation is based on the radar satellite survey, that are taken and collected by sensors from the ENVISAT-ASAR satellite for the European space Agency. The data are processed and distributed by Kongs satellite Service (KSAT) and EU Project GEO-PICTURES. This analysis is based on a Satellite images of a quick survey from the 17th and 19th. September 2011 over the Sirte area. To assess the situation, the current map was compared with photographs taken since October 31, 2010. After an intensive and exciting discussion about GEO-PICTURES Project, two of the partners, Johanniter-Unfall-Hilfe and D.M.A.T. Consulting KG, held an interesting lectures about the United Nations (UN), United Nations Disaster Assessment and Coordination (UNDAC) and the European Civil Defense. Afterwards the participants of the workshop were introduced to the ASIGN-Software of the project to test it in given exercises. The stay in Brazil was not only very important to the project, but also a good opportunity to get in contact with the Brazilian Civil Defense and the Brazilian colleagues. For the GEO-PICTURES project, testers are asked to use the developed software, to check the functionality and to give feedback to the project team. What does the ASIGN Software do? The software developed in the course of the project that should make taking photos possible for example with a smartphone (currently with Android operating system), deposit these geo- references and transmit them almost in real-time to a server in order to optimize disaster management. 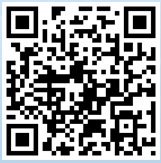 Below you will find the QR code for the ASIGN software. Dieser QR-Code wird im Rahmen des EU FP7 Projektes zur Verfügung gestellt. Scan the QR code with a smartphone (operating system: Android, as well as GPS). After scanning the software is automatically installed on your device. Create a “User Account”. Username is the email address of the user. If you are registered as a user, you can log in to the server http://asign.ansur.no/ . Your account will take you to the photos you sent. To use the QR code for the test, you need a barcode scanner. On the Android market you will find free barcode scanner applications. when the QR code is scanned, the Android browser will open the file “a. apl file” to download. If the file is downloaded, install it. Start testing now and support the optimize innovative disaster recovery effectiveness software to protect lives and environments. Enjoy yourself and good luck with the testing. For questions and suggestions please contact the GEO-PICTURES team. Until March 2012 you can use the ASIGN software for free. GEO-PICTURES: testing the ASIGN software. Focus on the high quality of the zoom function. 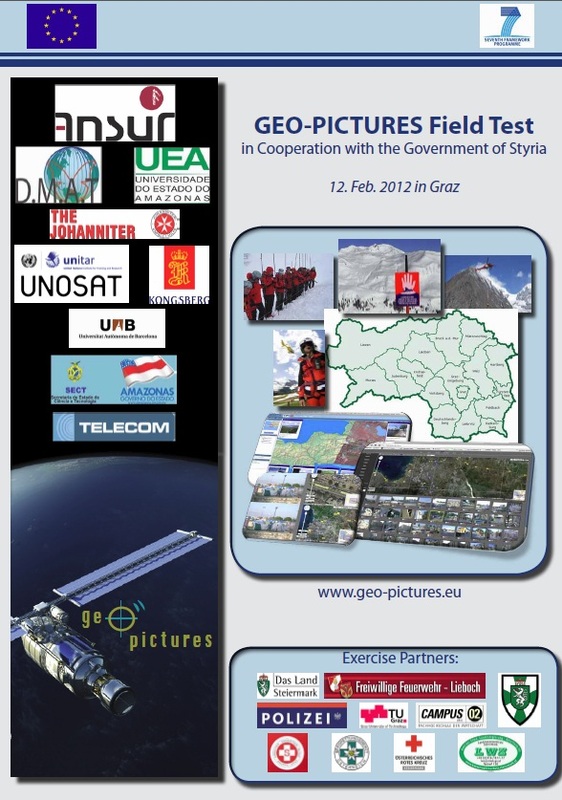 On Sunday February 12th, 2012 in Styria, the final test of the EU co-financed space project GEO-PICTURES has been implemented, which has been running for two years. The aim of the project is to support situational exploration and coordination during the disaster in order to save human lives and to be able to help as best as possible. The final exercise will present the developed software ASIGN, which was developed by AnsuR, the Norwegian project coordinator. Using this software will allow the geo-referenced photos, reconnaissance results, video and satellite images to be sent as a small total data package in a very short time (almost in real-time) to a server of the United Nations Organization (UNO) in Cern, Switzerland. Different transfer media can be used to ensure a stable data transfer while transferring the data. Through this project the developed technology makes it possible for the first time to analyze data immediately in the operations centers and to set corresponding life-saving measures. 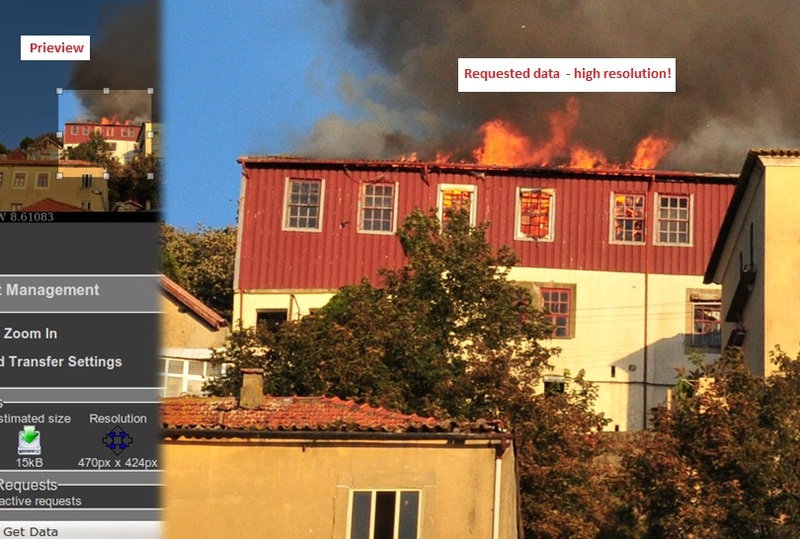 Furthermore, a “crowd application” is being tested so that all persons who are at the scene of the disaster can immediately forward the information to the operational centers, such as the UN or EU operation center, so that the rescue missions can be optimally adapted to the current situation. During the development phase this software was tested and further developed, among other things for example during some disaster missions such as the heavy floods in Pakistan in 2010, an explosion in Cyprus in 2011, the floods in Thailand in 2011 and the Haiti earthquake in 2011. The software was also tested successfully at the Youth Olympics in Innsbruck, Austria. 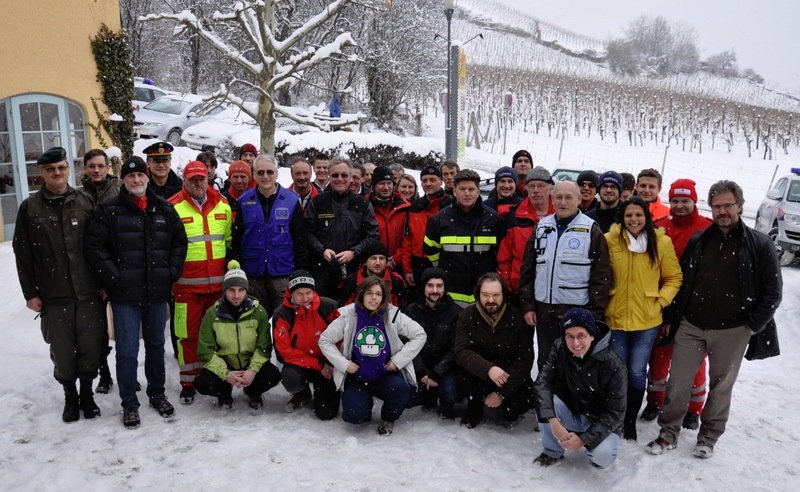 The final exercise of the EU FP7 project took place on February 12th in Southern and Western of Styria. The exercise assumption described a missing person in mountainous terrain and victims were buried by an avalanche. Furthermore, the exercise also dealt with flood, earthquake and other environmental disasters and consequent safety risks. The level of difficulty in this exercise was increased by a bad weather conditions (snowfall) that challenged all participants. Even these challenging conditions could not belittle the praise of the participants from different “blue light organizations”. their feedback described the exercise as a complete success! The Head of Department of Civil Protection of the Styrian Land Government, Dr. Ing. Kurt Kalcher, who attended the final test, was impressed by the system development. 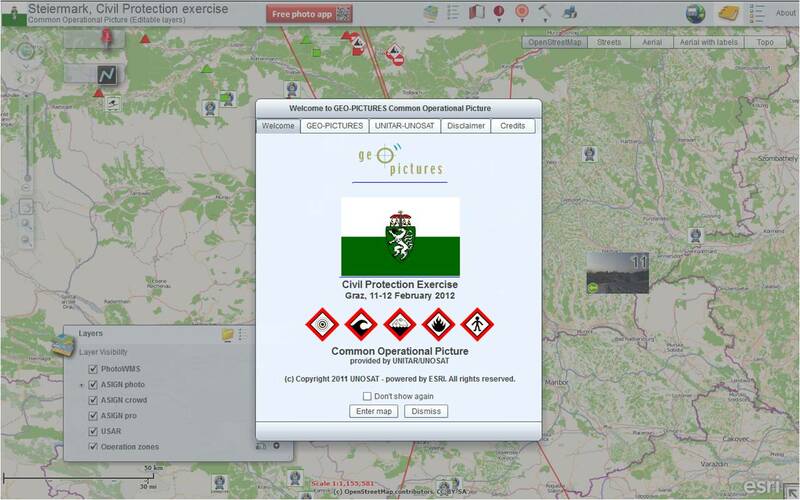 GEO-PICTURES was tested by the first Youth Olympics in January 2012 in Innsbruck, Austria and it is expected to be used at the World Ski Championships in Schladming in March, the Olympic Games in London, during an INSARAG classification exercise in Austria, and in preparation for the World Cup 2013/2014 in Brazil.